Browse By Period Now Available At The Period Ironmonger! 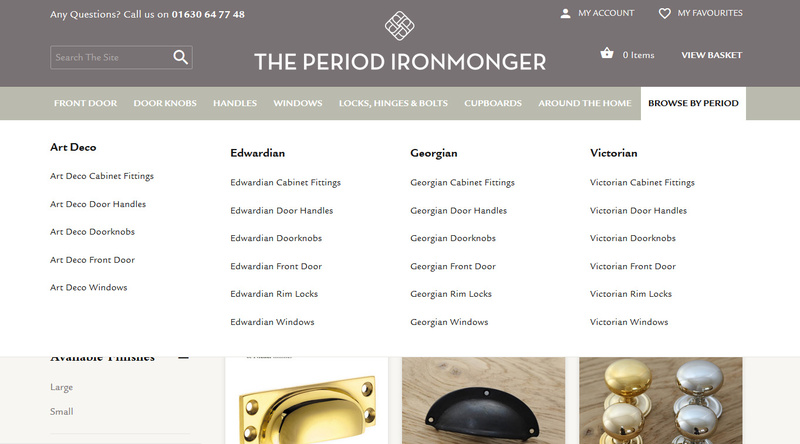 Home > Blog > Browse By Period Now Available At The Period Ironmonger! We've been working hard behind the scenes to not only ensure we continue sourcing the most beautiful and highest quality ironmongery for your home, but we've now made it even easier for you to find what you're looking for. We noticed in our site search that people were often keying in things like "Edwardian" and "Victorian" rather than browsing for specific types of products, so we set our clever website people the task of making the site more easily navigable for those searching for periods, rather than specific products. We're delighted to launch today our new "Browse by Period" category which we hope will make it easier than ever to find the things you're looking for. Browsing by period also means it's much easier to feel inspired as you'll see a range of different products that fit a specific period look or design style!